Sigh. Today is the return to the "normal" world for me, with no more of the SCBWI Summer Conference happening. 1200+ people came to #LA14SCBWI, and it truly felt to me like hanging out with 1200+ friends (which means it was fantastic and overwhelming and inspiring and all that over and over again). This year, I was on faculty, doing a breakout about how to be effective on Pintwitfacegramblr (or any social network) and doing one-on-one social media consultations. I'm grateful to the SCBWI folks for adding something new to their plate with those, and feel utterly amazed and humbled to be part of faculty at the event in any capacity. Mighty talented folks those faculty members, and nice as can be, too. It's worth a trip to the official SCBWI Conference Blog to get a taste of the event, particularly if you couldn't make it this year. 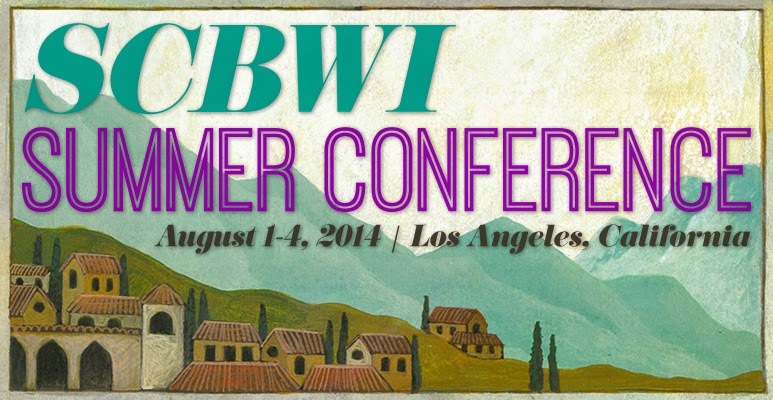 The Twitter stream of #LA14SCBWI is worth a peek, too. Facebook's abuzz, too, of course. I can't yet pick just one memory to share, so I'll wait a bit as I process. But I do know that it was great to see so many friends from online and offline, to share the love of creating books for kids with others who "get it," and to spend time in the happy bubble of smart, fun, compassionate people that makes up SCBWI.